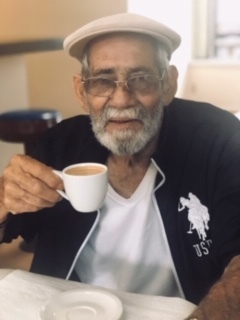 Leonardo V. Soto, 76, died late Tuesday evening, in the comforts of his home with loved ones by his side. A son born, March 13, 1942, to the late Felix Soto and Martina Valdez. Mr. Soto was a native of Cojimar, Cuba, but a native in Lexington, NC the past twenty years. Mr.Soto attended Lady of Rosary Catholic Church. He worked for twenty-eight years in the medical field as a pathology tech. at Bridge Port Hospital in Bridgeport, Connecticut. Left to cherish his memory are a wife of tweny-six years, Marta Soto; three sons Leonardo J. Soto of Connecticut, Fernando E. Soto (Candace) of Orlando, Christian Soto ( Stephanie) of Charlotte; three daughters, Vivian Soto of Miami, Florida, Zandra Sookoo (Steven) , Migdalia Roman both of Connecticut; thirteen grandchildren and nine great grandchildren. A Gathering of Family and Friends will be held Saturday, January 26, 2019, in the chapel of Davie Burial & Cremation in Lexington from 12:30 PM -1:30 PM. A Celebration of Life Memorial Service will begin promptly at 1:30 with the Father Fabio Marin Morales officiating.